Is this your first Mockup Frenzy? Why not check out the rules & results from Mockup Frenzy #1: Mobility!, Mockup Frenzy #2: Ninjas!, Mockup Frenzy #3: GB Demakes!, Mockup Frenzy #4: Invasion!, and Mockup Frenzy #5: Horrorween!, and Mockup Frenzy #6: Musical Inspiration! 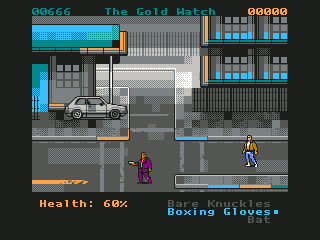 Re: Mockup Frenzy #7: Cinematendo! 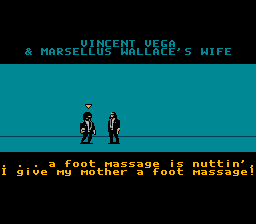 Oh man, I loved Goonies II on the NES, and I loved the NES itself... I'm definitely going to have to try my hand at this challenge. I feel... Saturated to some degree, out of tone. - Yuri Orlov, (Nicholas Cage) "Lord of War"
Mother is God in the eyes of a Child... - Rose Da Silva (Radha Mitchell) "Silent Hill"
Man cannot remake himself without suffering for he is both the marble and the sculptor. 1 - Use this special bit that could signal when you'd finished one particular raster line...this is how games like castlevania kept the HUD in one place while the level scrolled. Basically, the first X lines can scroll at one rate, and the rest can scroll at another. 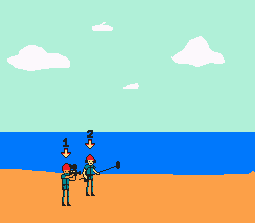 2 - Keep the background relatively blank, set sprite priority to be behind the level. Then you can have sprite clouds zip by at varying speeds. 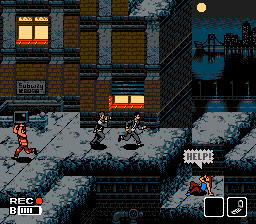 However, you can not have any real background tiles, just the main background color, otherwise your main character will be drawn behind the tiles as well! 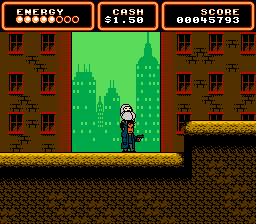 Shatterhand was my favorite game growing up. Collect three betas and you got the grenade throwing robot. 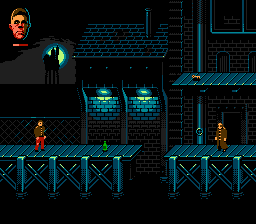 I'm torn between making Say Anything a game or doing that other 80s classic Dreamscape. After all, you can do anything in dreams. 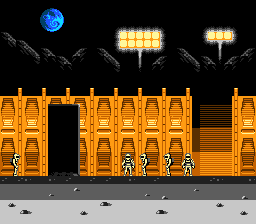 4 - You use a block of background-tiles - e.g. 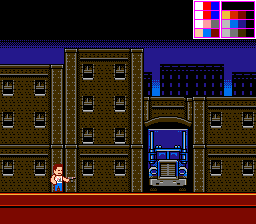 4x4 tiles (total of 16) and rotate the content of the tiles themself (the pixel-bits) anytime they should scroll. 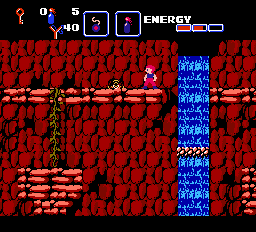 Then you can put this 4x4-tileblock everywhere you want to have the parallax-effect. It does only work for small repeating areas as this eats up very much background tiles that cannot be used for other stuff. A man touched down on the moon, a wall came down in Berlin, a world was connected by our own science and imagination. Yes we can!